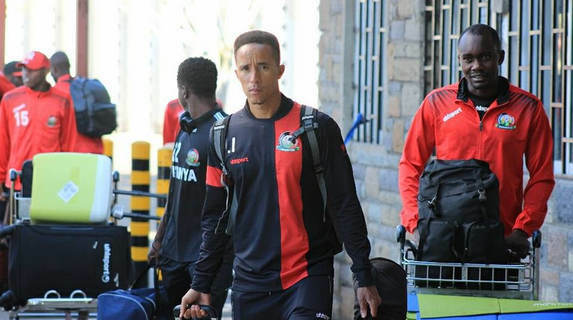 The first contingent of Harambee Stars left the country on Wednesday 30th May for India where they will play against the hosts, New Zealand and Chinese Taipei in the Hero Intercontinental Cup tournament from June 2nd to 10th. Zambia based duo of Cliffton Miheso and John Mark Makwatta h ave linked up with them team.Also joining from Tusker FC are Bryne Omondi and Timothy Otieno. Vihiga United’s Bernard Ochieng, Kariobangi Sharks’ Patilah Omotto and Thika United’s Dennis Odhiambo also make the first team of 15 players. Six more players will link up with the team tomorrow (31st May, 2018). Harambee Stars open their quest with a match against New Zealand on June 2, 2018, before taking on hosts India on June 4, 2018 then a third match against Chinese Taipei on June 8, 2018.